Away from SalzburgerLand’s perfectly prepared pistes there’s all manner of snow-based fun to be had. From freestyle snowboarding and freeskiing in the internationally renowned snowparks to freeriding on board or skates in an isolated winter wilderness, many are tempted by the notion of getting away from the hustle and bustle surrounding the lifts and on the slopes and experiencing that adrenaline kick and the exhilarating freedom that comes with whizzing through natural ungroomed terrain. Freeriding belongs, quite possibly, to the most exciting and intensive thing that you can do on your board or skis in SalzburgerLand. Experience that pure-adrenaline rush when you whiz down untamed slopes in deep powdery snow just once and you’ll just want to keep coming back again for more. 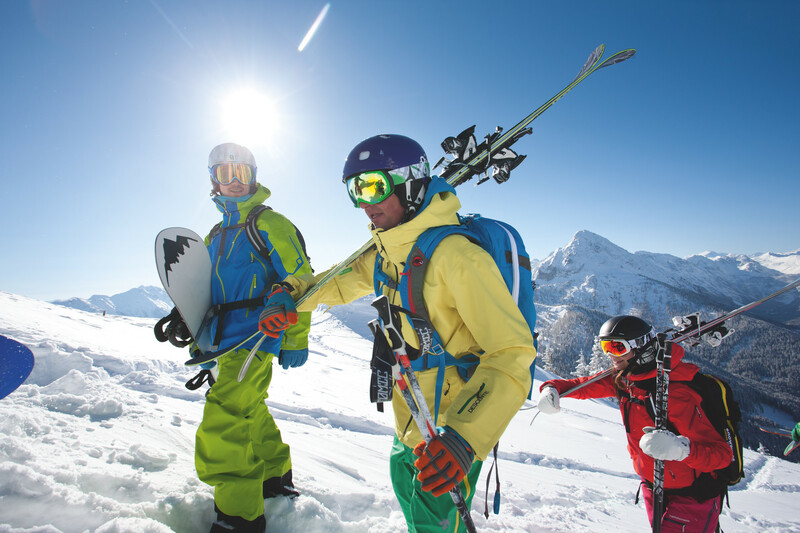 All over SalzburgerLand you’ll find the ideal weather and terrain, top-of-the-notch professional ski guides, fantastic freeride spots and deep-snow runs off the beaten track, all of which combine to create the ultimate freeride experience. Regardless of whether you’d like to do a high-Alpine Hike & Ride tour or want to stay close to the slopes, you’re sure to find your own personal off-piste playground in this paradise for freeriders. As beautiful and unique as the outdoor arena may be, you should never get distracted and forget about safety. It goes without saying that you should take every care to avoid being caught up in an avalanche or falling over a cliff. You should also bear in mind that if you behave recklessly you’re not just endangering yourself, but other winter sports enthusiasts as well. 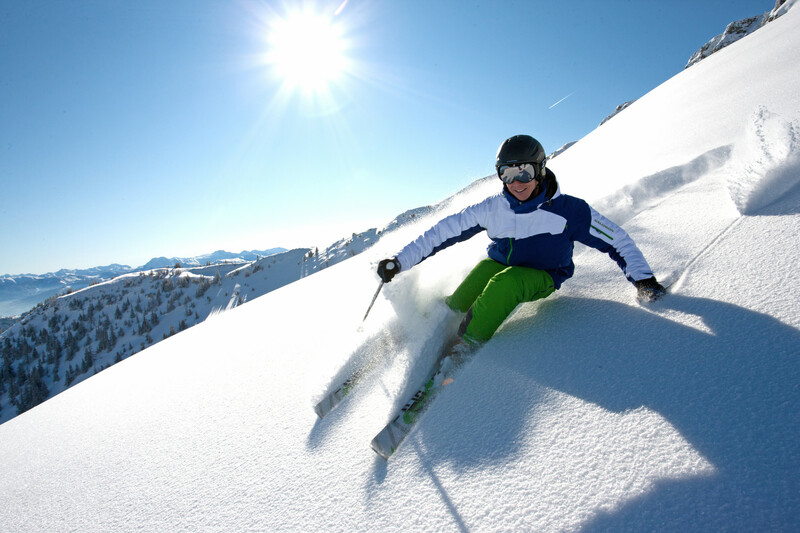 With the right preparation, the necessary care and attention and the willingness to skip the occasional ride, you can minimise the risks posed by skiing on unsecured terrain. The most important thing is you know what you’re doing and are aware of the dangers lurking in the Alpine arena. Avalanches are just one of the things to consider. You should also reflect upon the quality of the snow and the temperatures in the preceding time period; whether they have caused the snow to form in different layers, or left it tightly packed. You should also be aware of the weather on the day of your tour and whether it is likely to stay stable. Whilst care and knowledge of the dangers are incredibly important in the snow, it’s also vital to be equipped for all eventualities. 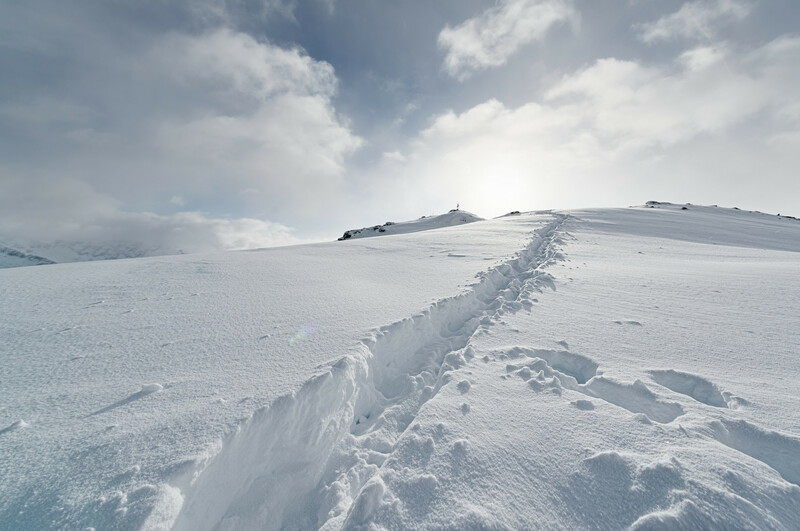 You should always carry a rucksack with a shovel, probe and avalanche transceiver and should never go off-piste without protectors and a helmet. Many freeriders also carry avalanche airbags, which reduce the chance of being buried under snow masses should there be an accident. Although freeriding isn’t a new sport its popularity has shot up in recent times. A trend that has enjoyed a huge surge in popularity in recent years is ‘Hike and Ride’, which crosses over with Alpine skiing. No longer content with riding near the pistes, skiers are taking ever more strenuous climbs find unexplored peaks. There are even special binds for skiers. Suitable for ascent, these guarantee the necessary stability and safety in pow pow (fresh snow), and snowboarders often use splitboards (divisible boards). Eva Walkner from Kuchl has turned her passions for deep snow and the mountains into her job. She gave up her successful national skiing career, hung up her racing skis and now freerides through the snowy landscape. Now a Freeride World champion, she has also participated in countless video productions. In the winter season 2016-17 Eva Walkner and the SalzburgerLand Tourist Board will be collaborating on some few projects. These are top secret so we won’t ruin the surprise, but we can guarantee that they will not take place on a prepared piste! The modern, up-to-date, well-maintained and superbly groomed snowparks in SalzburgerLand belong to the best the freestyle world has to offer, and are a true paradise for snowboarders and freeskiers. Every winter countless people return to the Salzburg mountains to feel the heart-thumping, adrenaline-pumping experience of turning tricks on large kickers, halfpikes, boxes, banked curves and rails in peaceful high-alpine scenery, the only sound around the jubilation of their mates celebrating their achievements. As a lot of the freestylers are juveniles and young adults, there are a range of special accommodation packages to ensure they can live cheaply whilst having a fantastic time.